Is your garage a space where you spend as little time as possible? The average garage is not only boring, but usually a bit dirty. If you want to take back that part of your home, and make it useful for more than car storage, there are several great ways to update it quickly. 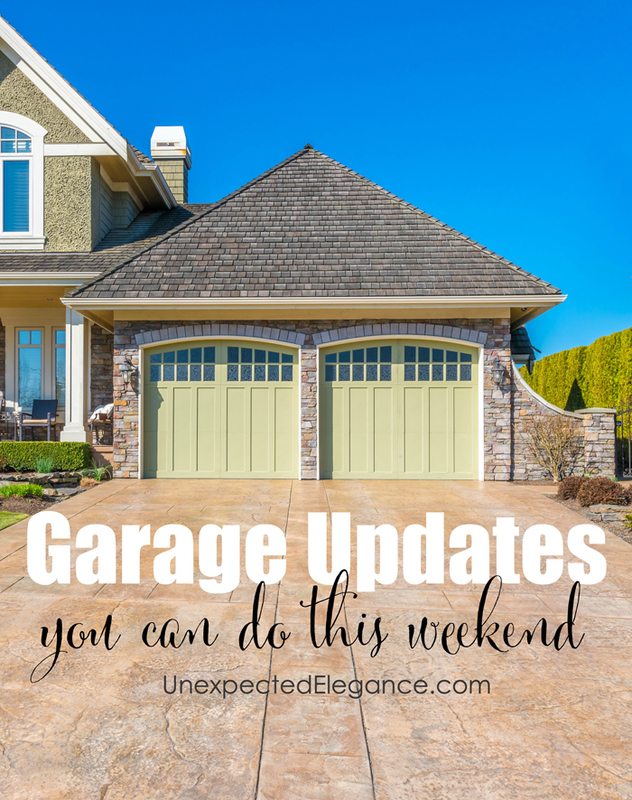 Whether you add a splash of color or storage, you’ll love these ways to update your garage (and most can be done in a weekend). Garages are a great place for extra storage, if you do it right. The wrong way is to throw everything in there and let it pile up. If you install cabinets or shelves, you can store things without making a mess. You can find a variety of great garage cabinets at your local hardware store. You can also find open shelving and use bins to keep odd-shaped things organized. I have THESE shelves and love them. Pegboard is wonderful for a variety of reasons. Not only is it great for organizing tools, but you can use S-hooks with plastics baskets for storing small items. If you hate the color of the pegboard, paint it. Spray paint is a DIYer’s best friend. First things first, after cleaning, paint the walls in your favorite color. The problem with most garages is that they are usually unfinished drywall. Paint can make your garage a much more inviting place. If you’re doing this room for your spouse, choose a color they’ll love. The color will make such a difference and is a very affordable upgrade. Last, but not least, stools are great if you have a workbench, but they’re also great if your husband loves to hang out in the garage with his friends. Get the stools with backs. They are much more comfortable. 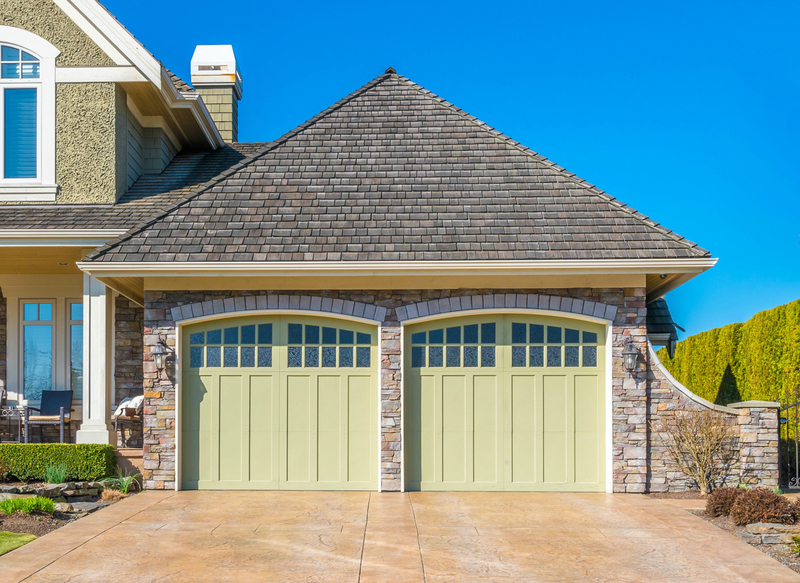 Your garage doesn’t have to be an eyesore. In just a couple of days, you can turn this rarely used room into a much more inviting place. We have a shed and it’s a terrible mess. No garage as we have single wide mfg. home. Not what we wanted, what we could afford when we moved to western CO. Everybody seems to think anything is running with gold, hence high prices for everything here. Plus when we moved here were still paying for KY house and living on our SS so our choices were limited to what we could squeak out of budget. Was going to clean out shed in Spring but was so darned cold and raining almost constantly, I stayed in house. Hopefully will get shed cleaned out this Fall if it cools off, sure hope so. Then hope can get hubs to help and build shelves in shed. Jane, I definitely get the higher price thing! We moved from Texas to Pennsylvania a few years ago and was shocked at the difference in home values. Hopefully the weather will improve these next few weeks of summer and you can get your shed cleaned out! 🙂 Have a great week.